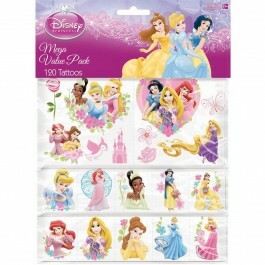 A Disney Princess party is the perfect choice for a little girl who dreams of being her favorite princess. These Disney Princess party ideas will ensure that your little princess feels as royal as possible on her special day. From the perfect cake to the right decorations, you can create a Disney Princess birthday party she will love. Create a party theme around your child's favorite princess to make the theme more specific, or plan a general princess party. Choose the right location based on the weather you anticipate for your child's party. A Disney Princess birthday can be an indoor or outdoor event. A dress-up Disney Princess party is fun for everyone! Let all the guests come in their favorite princess costume. 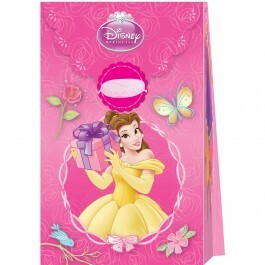 A selection of Disney Princess birthday party supplies makes it easy to make your child's party come together. 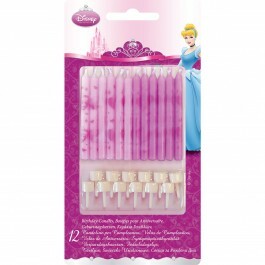 Our choices make it easy to get fresh Disney Princess party ideas for the big day. If you are looking for attractive Disney princess birthday invitations in India, our party invitations featuring all of your child's favorite princesses make inviting guests fun and easy. Create your own invitations by cutting out crown shapes from construction paper and decorating with glitter and fake jewels. Write the party information on the other side. 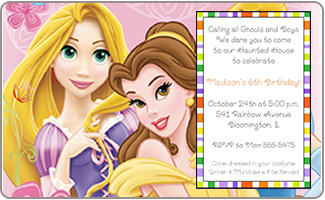 Print your own invitations at home using the Disney Princess images available online. 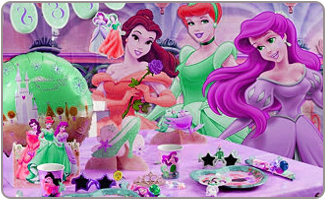 Disney Princess birthday party invitations can include royal wording, such as the use of the "royal we" as you invite all of the princesses in the land to special party. Play "Who Am I?" by sticking the name of a Disney Princess to each child's back – or use a picture of the children do not read. They will then have to guess which Princess they are by asking questions. 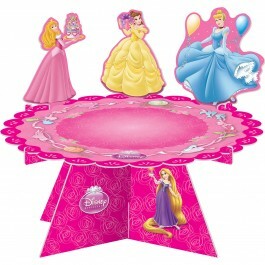 Play ring toss, but replace the rings with toy tiaras for a Disney Princess birthday twist. Set up a make your own crown craft area with construction paper or foam crowns and jewels, glitter, and puff paint for decorations. Play musical thrones instead of musical chairs by decorating basic chairs to look like thrones instead. 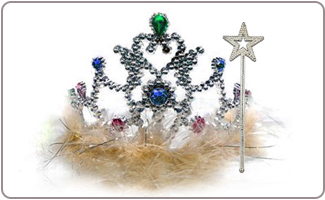 Turn Simon Says into Princess Says; each child can have a turn being a Princess and giving instructions to her subjects. 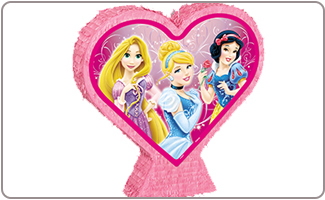 A Disney Princess theme pinata like a Tiara Pinata will make a beautiful party decoration and a fun filled game too. 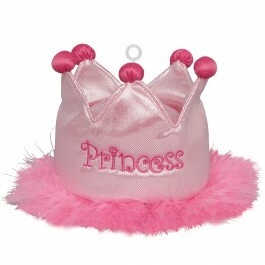 Tiaras are one of the best Disney Princess party ideas for the return gifts, and make every girl a Princess instantly. 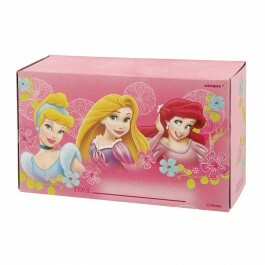 Our selection of Disney Princess return gifts makes it easy to put together lovely goodie bags fit for her Highness and friends. Princess bags filled with pretty pink candy or cupcakes embellished with colorful gems and theme cupcake picks make a sweet choice for return gifts. Create a meal fit for a Princess by choosing elegant finger foods such as mini sandwiches and delicate desserts. 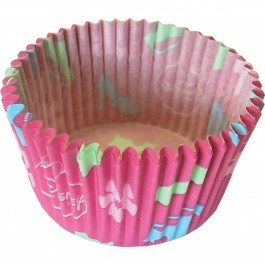 Pink frosting is the perfect choice for Disney Princess cupcakes. 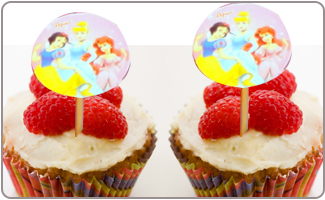 You can create the perfect Disney Princess birthday party cake with our beautiful Princess cake topper. Princesses love tea parties, so set up small tables and chairs with tea cups. Use iced tea to avoid the danger of burns. 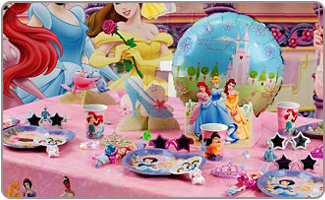 Our wide selection of Disney Princess party decorations makes it easy to set up a beautiful party space. 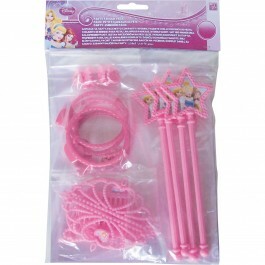 Decorate all in pink balloons and streamers for the girly Disney Princess party look of her dreams. Disney Princess party ideas for the decorations can be general or they can stem from her favorite Princess. 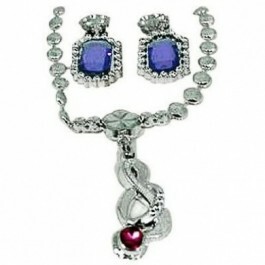 Decorate all in Cinderella or Rapunzel. Create a grand entrance to the party using a large box decorated to look like the entrance to a castle. A decorated archway is another great way to make an entrance. Cover the walls with pictures of all of the Disney Princesses to feel like they are all also at the party.